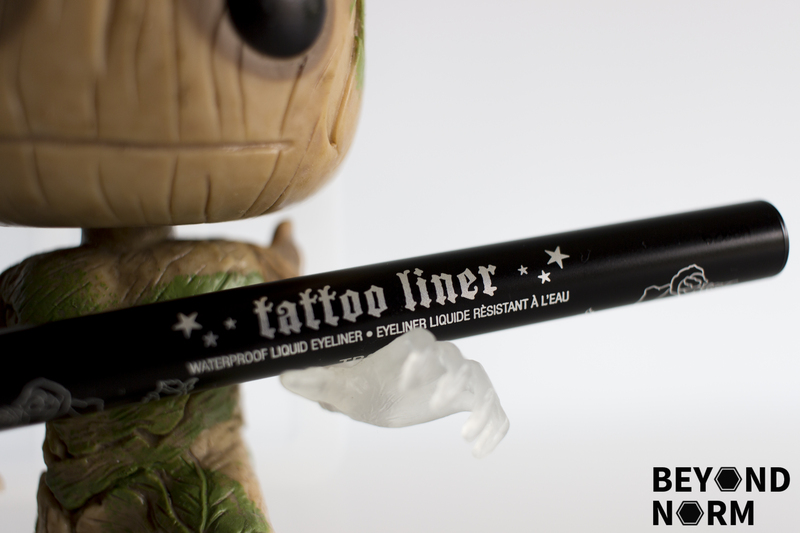 I had heard many good things about the Kat Von D Tattoo Eyeliner prior to purchasing it. It is after all a cult favourite. But I always had a hard time justifying spending the money on it. However, when I was in the market for a new liquid eyeliner, I decided that now was the time to take that leap of faith to see if it was worth the splurge. As with every Kat Von D product, the packaging has intricate gothic-esque details on it and is rather sturdy. The eyeliner casing is just the right size, making it easy-to-grip and apply. The brush has a nice pointy tip so that you could get down to the finest of lines. Super pigmented and opaque. Although it dries quick, it is quite buildable and doesn’t become clumpy. Now I kid you not, but I was absolutely jaw-droppingly impressed with how unsmudgeable the Kat Von D Tattoo Eyeliner was. Most liquid eyeliners that I’ve tried, smudges within a few hours of application (especially when living in humid countries like Singapore). But this soldier held its place and did not smudge after 8 hours of wearing. After the nap, heading out, and then coming home at the end of the day. On one occasion, I came home to take a nap before heading out again. I had worn the liner for 6 hours prior and thought that it’ll be a waste to clean up my makeup before heading out to my next event. So I decided to put it to the test figuring that I’ll clear up the smudges with cotton swabs and touch up where it was necessary. To my surprise, I woke up to perfectly intact and un-smudged eyeliner! I didn’t even feel the need to do any touch-ups. Never in my history of eyeliners has this ever happened before. I knew then that I’ve finally found “The One”. However, despite using the Kat Von D Tattoo Eyeliner for about half a year, I have yet to experience any of these problems. Eventhough the price is steeper than a drugstore eyeliner, I would definitely repurchase this. It has proven to be very dependable and is an essential of mine. I know that it will remain intact the whole day until I come home. A must-have in my books! I’ve even recommended it to my close friends! Great Review. Kat Von D Tattoo Eyeliner is well worth to use.